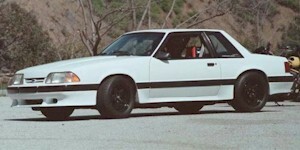 The 1990 Saleen Mustang continued to be produced from Mustang LX coupes, hatchbacks, and convertibles. You could also get the higher performing SC (formally called SCC) hatchback as well. Suspension saw some upgrades over the previous year including; Racecraft suspension system and Monroe Formula GP shocks. 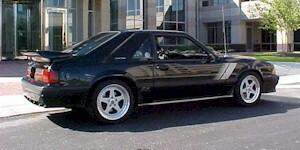 The 3.55 rear continued to be an option but the customer could special request an automatic transmission or sunroof.